Posted by ayasawada in Personal. Snow gripped the UK in its icy grasp today, grinding much of the UK to a halt. It could have been hell been hell, but it actually made for quite a good day for me. All London buses were suspended because of the dangerous roads, so I left work extra early to get the tube. It was inevitably packed, but managed to get into work relatively easily. And the Northern line was one of the few to sort itself out over the course of the day, so by the time I headed home (early as it turned out) I was treated to a really stress free ride home ^^. Most people couldn’t make it into work (as I imagine was the case for many workplaces) so the Trust was quite sparse today. Made for quite the snow day feeling, a bonus since those of us who had committedly made it in missed out on skiving off working from home. :p On the plus side, we did get a free lunch and it was quiet enough to get on with a lot of things (though to be perfectly honest, I wasn’t that productive. I blame all the people on social networking sites talking about how fun their snow day’s were). Anyhow, it was very beautiful to see really thick blankets of snow all over the place for a change. I haven’t seen it this good since I was five years old. And everyone seemed so happy: families in the park, Facebook pics of friends making snowmen, snowball fights organised on Twitter. 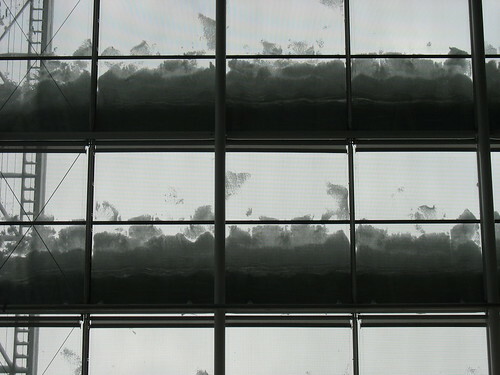 Pics of my uneventful London snow experience on Flickr.